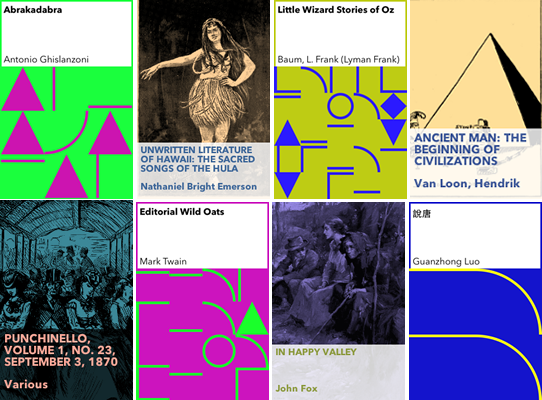 GOTO80 tipped me off that the NYPL is experimenting with using PETSCII (the character set used on the Commodore 64 and other Commodore computers) to generate covers for e-books that don’t have them. There is also a cover generator under development that uses illustrations. The PETSCII generator is specificaly inspired by 10 PRINT, and of course, it leads leads me to ask … will they use this system to generate a cover for the e-book version of 10 PRINT?